Na een professionele carrière op de hoofdzetel van AG Verzekeringen in Brussel, kwam Francis Timmermans pas in de jaren 1990 via archeologische opgravingen met de kartuizerorde in contact. Geboeid door de archeologie, bood hij spontaan zijn hulp als vrijwilliger aan bij een aantal opgravingscampagnes, onder meer in Frankrijk, waar hij kennismaakte met de professionele archeoloog dr. Jean-Luc Mordefroid (Unité de Recherche Archéologique Cartusienne, URAC). Architecture provides a shell for monastic life ever since. 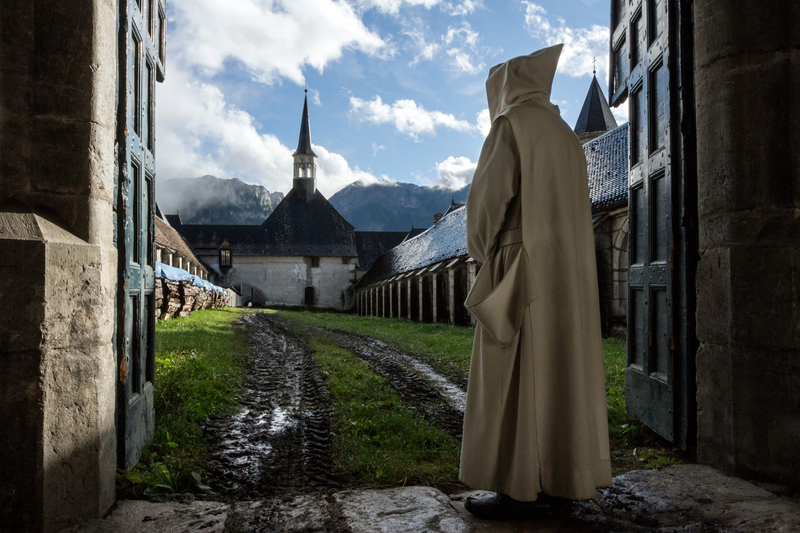 More than others, the eremitic order of the Carthusians relies on seclusion from the world by the built environment. This contribution to session 516 of the Leeds International Medieval Congress 2015 summarises the results of a PhD research project run at Technische Universität München between 2006 and 2012 on Carthusian Architecture. Location: Marietta-Blau-Saal, University of Vienna Main Building, Universitätsring 1, 1010 Vienna, Austria. Time: November 9, 2015, 5:15 PM. This year's Colloquium historico-criticum is organised jointly with the Austrian Institute of Historical Research and is simultaneously the 185th Seminar of the AIHR. The new publication 'Perilous Passages. 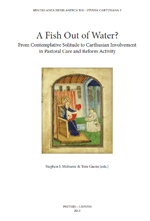 The Book of Margery Kempe, 1534-1934' by Julie A. Chappell includes chapters on 'The Carthusian Connection' and 'Carthusian Preaching Materials'. Cet ouvrage est l'édition d’un document exceptionnel, le plus ancien nécrologe de la Grande Chartreuse, constitué sur la base d’un calendrier pour l’essentiel antérieur à 1134. À travers les noms des défunts inscrits depuis la confection du calendrier jusqu’au XIVe siècle, il est possible d’aborder les temps les plus anciens de l’établissement, depuis l’époque de sa fondation par « maître Bruno », inscrit au 6 octobre. On Wednesday 8 July 2015, the Medieval and Renaissance Music Conference, hosted in Brussels, will feature a Carthusian session, entitled Music and Liturgy in the Carthusian Order (c. 1100-1500). The Carthusian monks at San Martino began a series of decorative campaigns in the 1580s that continued until 1757, transforming the church of their monastery, the Certosa di San Martino, into a jewel of marble revetment, painting, and sculpture. The aesthetics of the church generate a jarring moral conflict: few religious orders honored the ideals of poverty and simplicity so ardently yet decorated so sumptuously. In this study, Nick Napoli explores the terms of this conflict and of how it sought resolution amidst the social and economic realities and the political and religious culture of early modern Naples.